I have taken more outfit photos than I can count. I have completely filled an entire terabyte drive with my electronic clutter! One of the fun things about warehousing all of my looks is that I am able to go back and reminisce, or sometimes sigh at what I've worn in the past. As I am beginning to get into a fall mindset, I decided to pull some of my looks from last year. 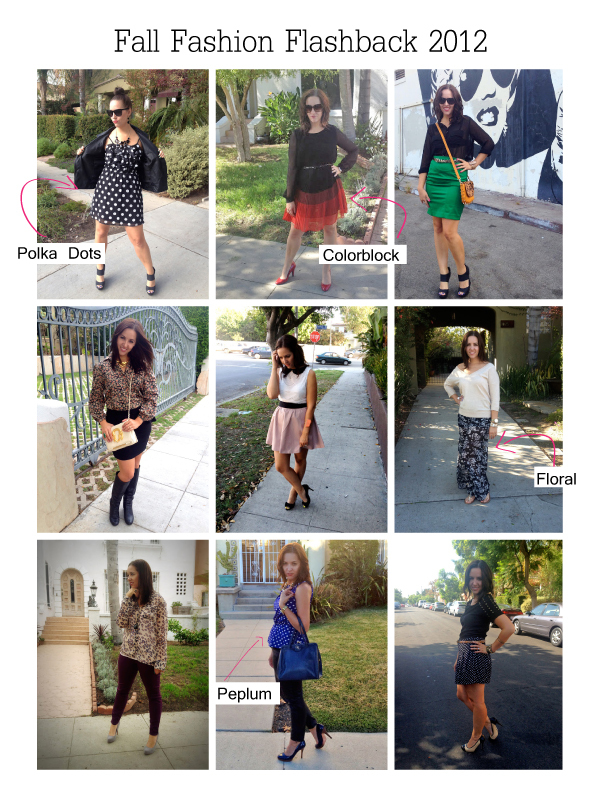 It's so funny to look at my fall outfits compared to other bloggers across the country. Since Los Angeles stays temperate, my autumn wardrobe looks like an east-coaster's summer. I also noticed that fashion hasn't changed much in the past 12 months either. I can still rock all of the same trends as last fall! Will you be recycling anything from your fall wardrobe? Not this east coaster. I live in Florida so much of my fall outfits look just like yours. I looooove fall! I cannot wait to really start wearing boots and chunky sweaters! I'm all about it and am excited that the trends haven't changed too much and I can just build upon what I already have for fall. So cute, I love the outfit with the pink skirt and the leopard blouse! Love leopard for fall. Miss you already, hope you are having a great Friday!